The Atomic Vantage 107 TI is the widest ski in the new Vantage collection. It’s the perfect mix of power and playfulness, built for powder-hungry skiers that want a one-ski solution for every day of winter. A powder ski that rips up the piste – letting you get after it on groomers, side-hits, or deeper, fresh snow. 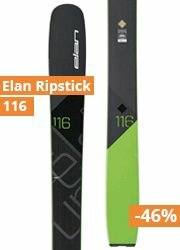 The revolutionary Prolite construction with added reinforcements in key zones leaves the ski with a thinner chassis and lighter weight for more precision and better feel for what’s under foot. This all-mountain ski will make you feel lighter, be stronger, and ski better no matter what kind of snow there is to shred. Tech Tips offers 10% more surface area for better float with less deflection, while the Titanium Tank Mesh layer adds strength and stiffness from tip to tail. A structured surface adds durability and snow comes of easily.A structured surface adds durability and snow comes of easily.